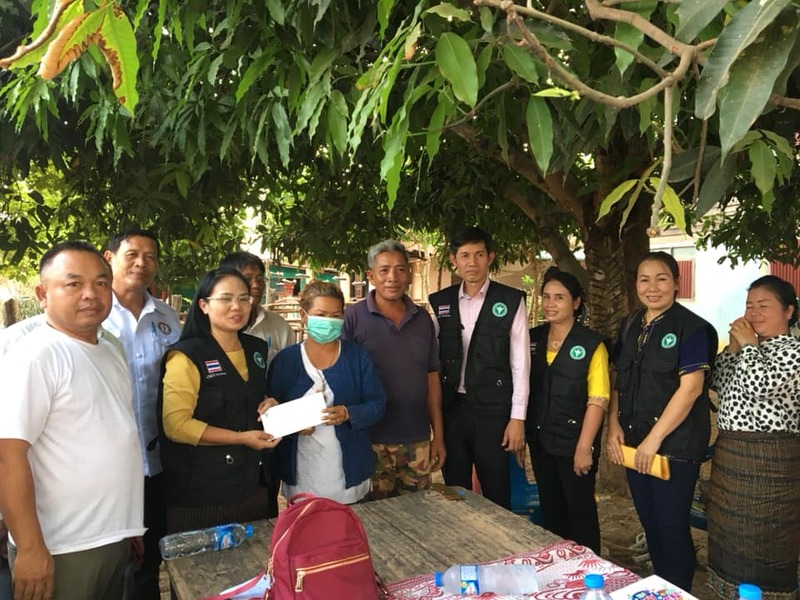 March 28-29,Mukdahan and Savannakhet have collaboration in term of joint Investigation Tuberculosis[Muk-Savan].As,view profile patient on Refer Muk-Savan TB online system such as medicine formulation,treatment,X-Ray image for support Health team visit home etc. 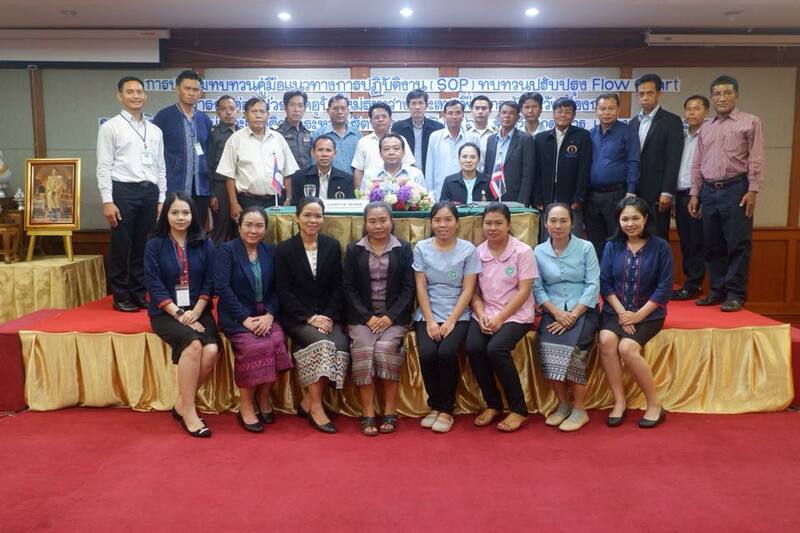 Jan 7-8,2019 The Office of Disease Prevention and Control 10, Ubon Ratchathani set up meeting to workshop emerging disease with provincial helth office in health office regional10 in order to enhancing and efficiency to control and surveillance diseases. 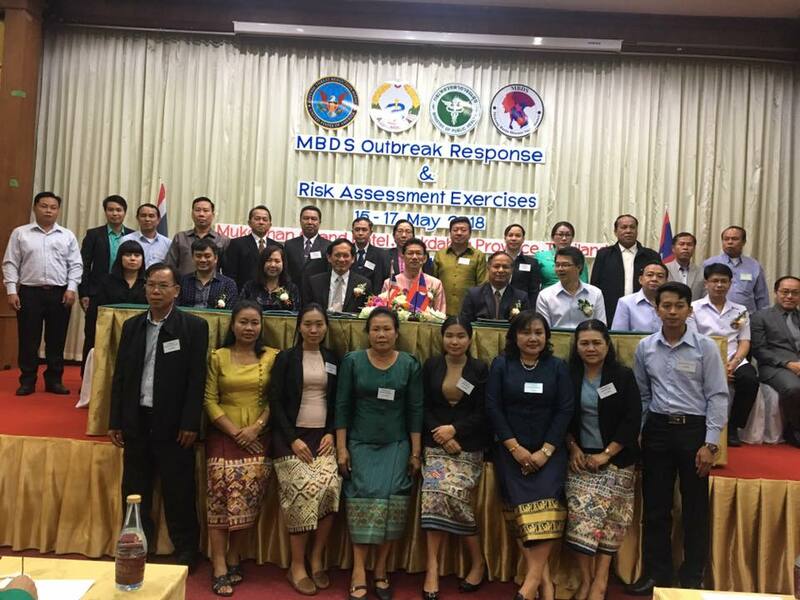 On Dec 6-8,2018 MSQ held on meeting follow outcome of the exchange information on website MSQ[www.msq-health.com] So,attendees include 7 Lao 25 thai and Quang Tri site 10.The meeting conclusion issued  extended exchange data with Live stock office such as export-import animals  fifteens diseases of quarantine from screening etc. 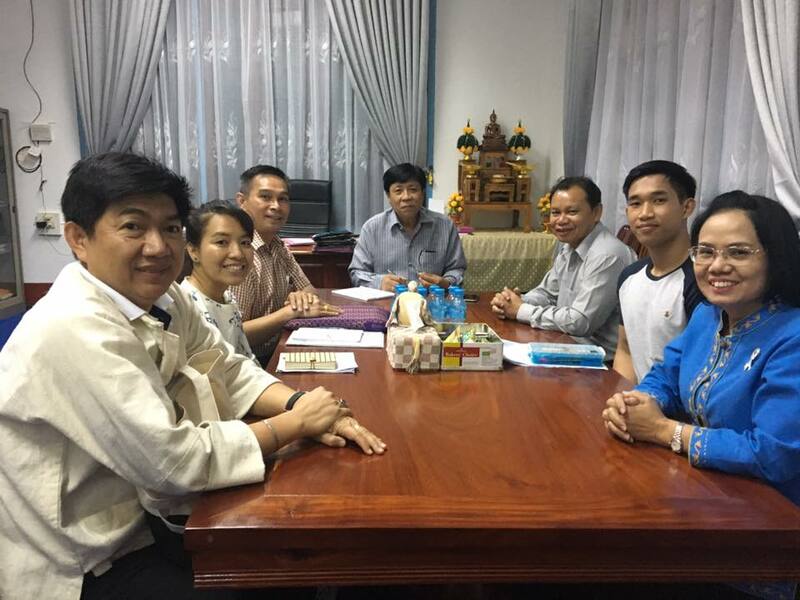 On 20th November 2018,Mukdahan provincial health office held a meeting with Savannakhet team.The main aim is improving in cooperation Standard Operation Procedures [SOPs] of work flow referral system. More over We’ve developing Refer Muk-Savan TB or RMS-TB web-based application in order to surveillance and refer case tuberculosis to cross border ability to multi-function features important such as exchange treatment drug formulation data patient  follow-up case visit home or process report lack of drug or improve status etc. 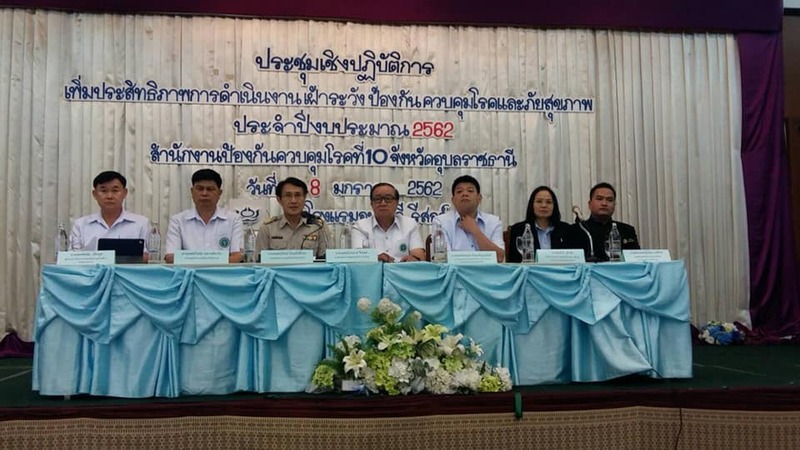 Emergency Operation Center[EOC] Muk-Savan meeting held Oct 1,2018 at Mukdahan provincial health office Mukdahan provinc.So, resolution of the meeting to respond and command emerging diseases also developing patient referal system etc. 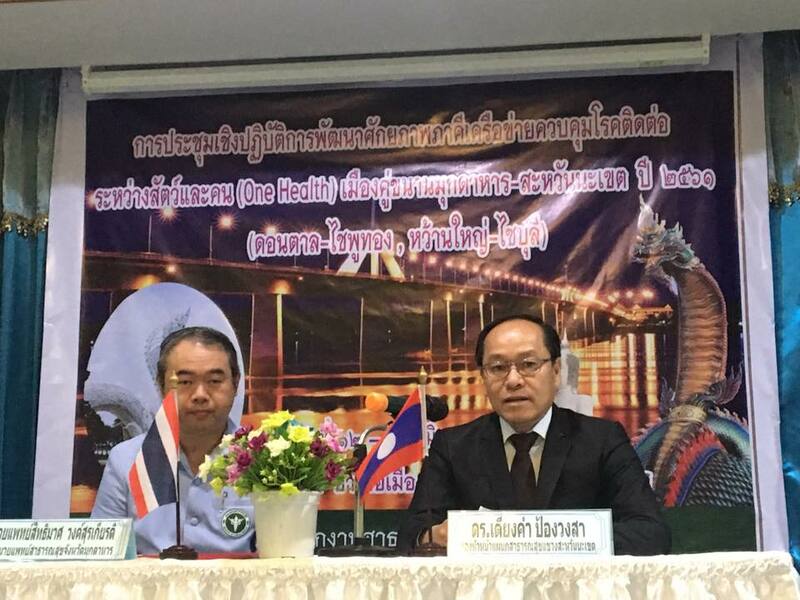 Dr. Jakrawut Juthasong, Director of Mukdahan Provincial Health Office, Thailand welcome and presented on “Border Area Surveillance and Inter-Countries Collaboration” to the study team of Avian Influenza surveillance from Department of Public Health, Ministry of Health, Bhutan on 20 June 2018 at Mukdahan Province. 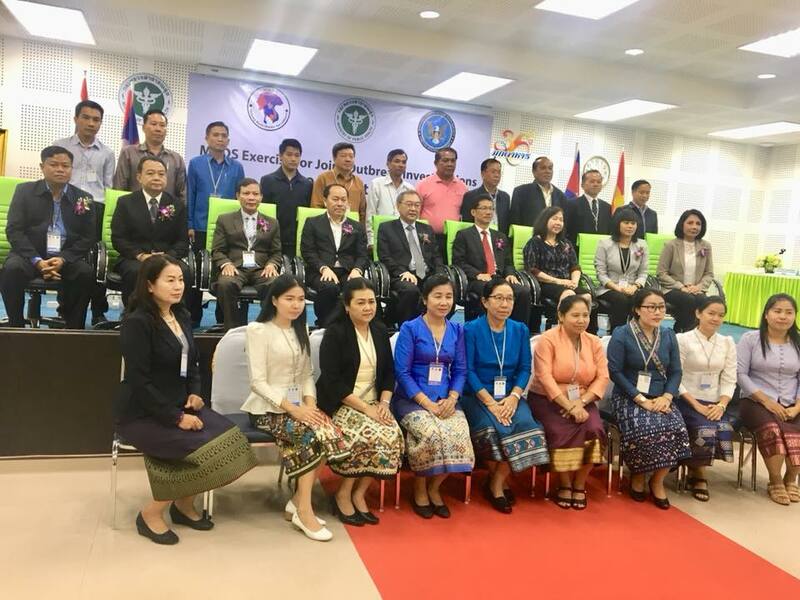 Workshop on potential network development for communicable disease control among animals and humans (One Health) in parallel city of Mukdahan (Thailand) – Savannakhet (Laos) was held in Mukdahan province during 12 – 13 June 2018. 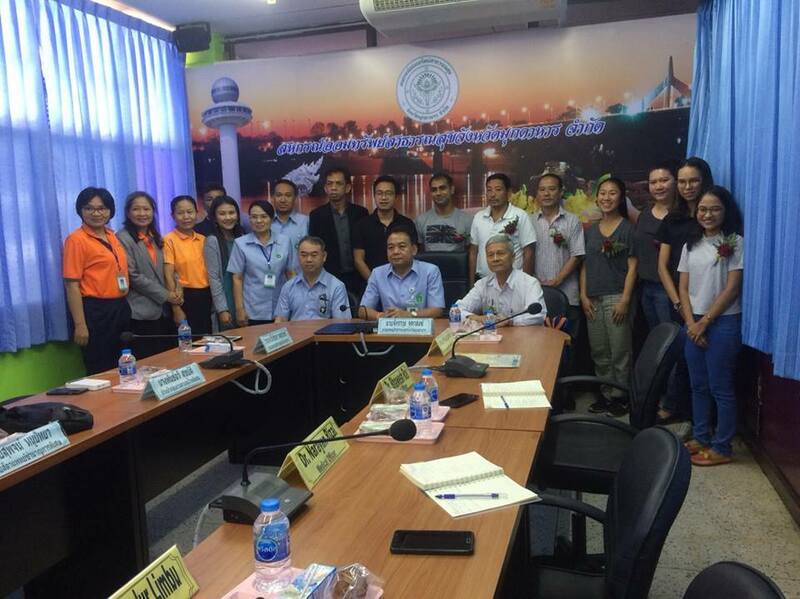 April 19-20,2018 Epidemological Seminar Twin Cities Thailand, Lao PDR and Cambodia at ubon ratchathani province Thailand. 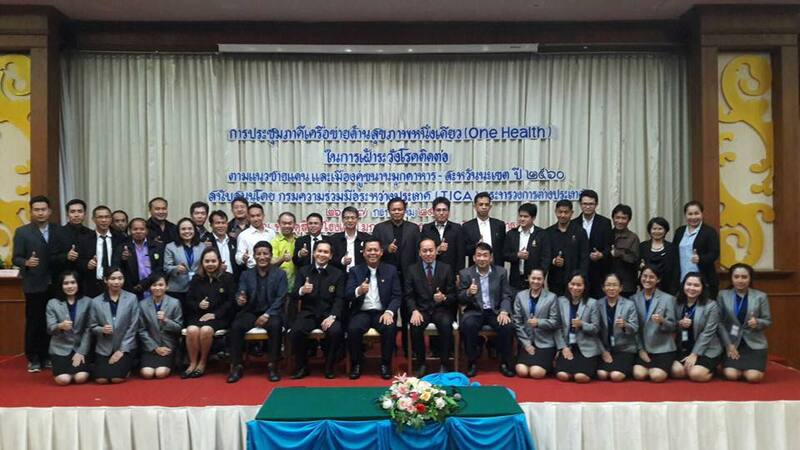 "One Health"[Mukdahan-Savannakhet] at Savannakhet Province Laos PDR. 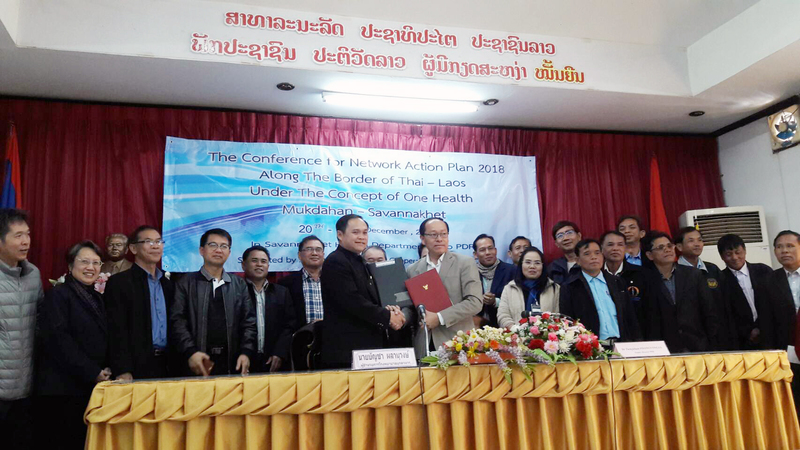 Participant conference include: Public Health,Quanrantine,Live stock provincial Mukdahan and Savannakhet.Conclusion extended Signed MOU One Health 2018 of 2 provinces. 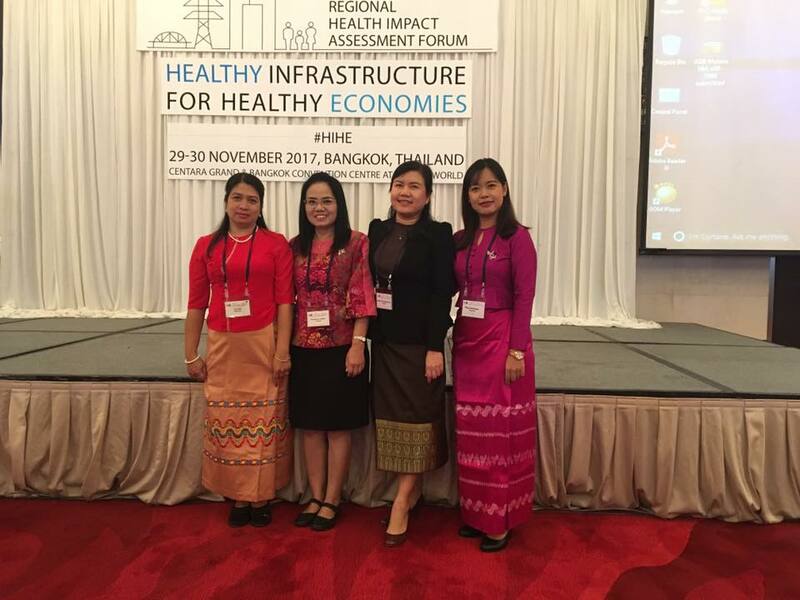 29-30 November 2017,Bangkok Thailand.International Forum Healthy Infrastructure for Healty economies So,participants from many countries like a Thailand Lao PDR,Myanmar etc. 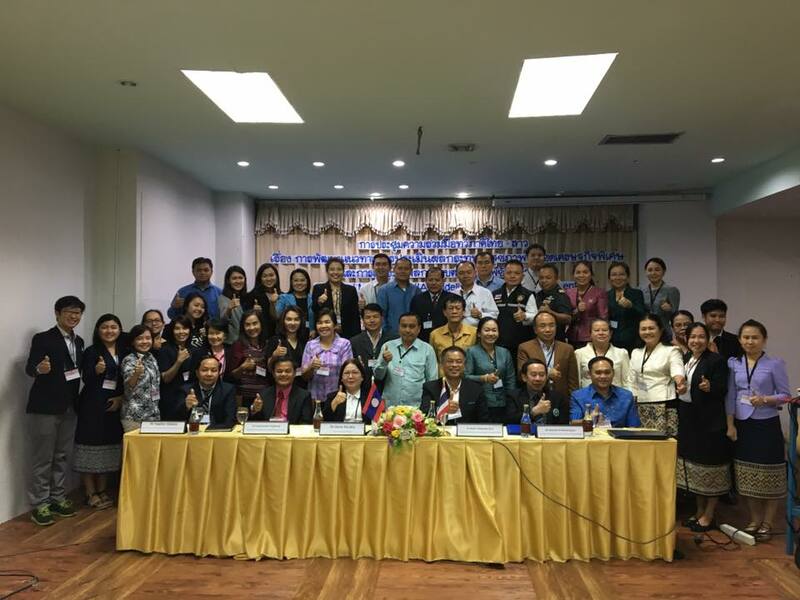 who gave funding to surveillance diseases and coopertaion Health border project have come to evaluate success in Mukdahan Thailand and Savannakhet LaoPDR November 23,2017. 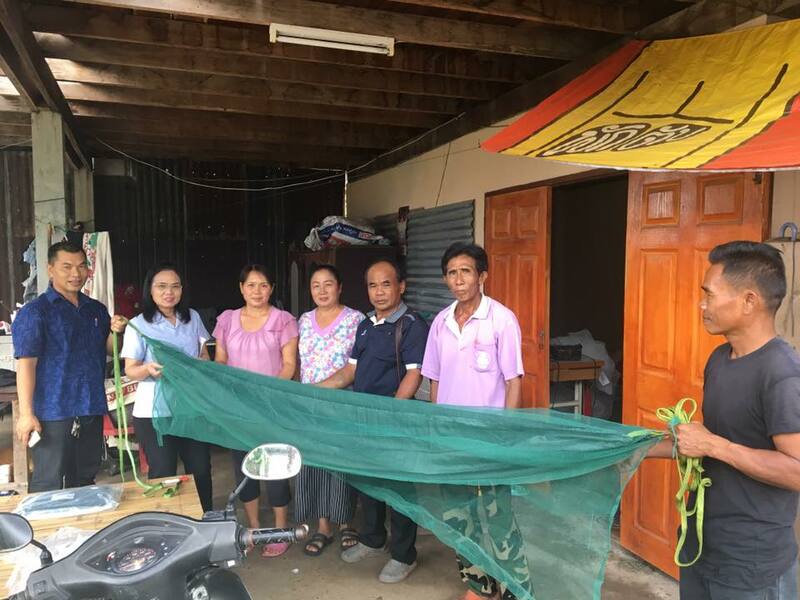 August 6,2017 Mrs. Punchawee Sukbut [Head of CDC Sector Mukdahan Provincial Health Office] and villages representative distribution impregnated bed nets to mukdahan villager in mukdahan province areas usage for malarial prevention as support by Global Fund of Malaria. 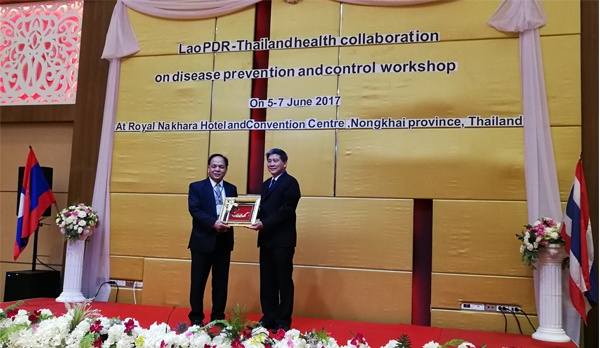 July 26-27,2017 at Mukdahan Grand Hotel Thailand, Mr.Noppadon Paithoon Vice Governor Mukdahan Province opening the conference “One Health” to surveillance zoonosis diseases cross border between Mukdahan province Thailand and Savannakhet province LaoPDR that attendees this conference include public health,live stock,quanlantine officers and health volunteers from two countries. Conference essentials have sharing experiences ,brainstorming , and free to state of suggestion. In order that,for have concluded and solve common problems in the future. 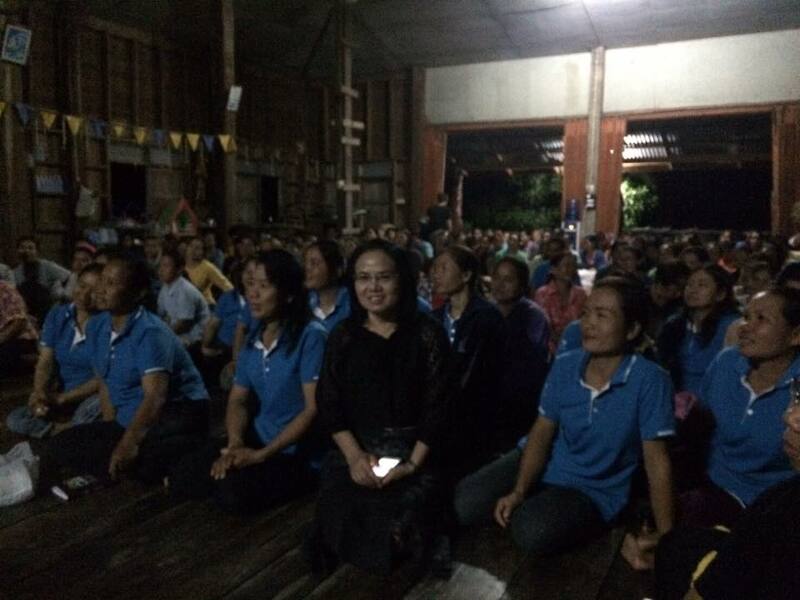 July 14,2017 Mrs. Punchawee Sukbut Head of CDC Unit Coordinator Mukdahan Provincial Health Office ,Mr.Pornchai Laosing (Public health worker DonTan Hospital) , headman of Banbak village DonTan District Mukdahan arrange a conference public hearing in village communities at the Banbak’s temple.In order to communication,enlighten, control,prevent spreading Dengue fever disease which villager invited 300 to attendees. .Conclusion,whole families have to clean the house and get rid of mosquito larva. Besides BanBak's Subdistrict Municipality 'll mobilize health volunteers in take action fogging mosquitoes in villages areas as well. 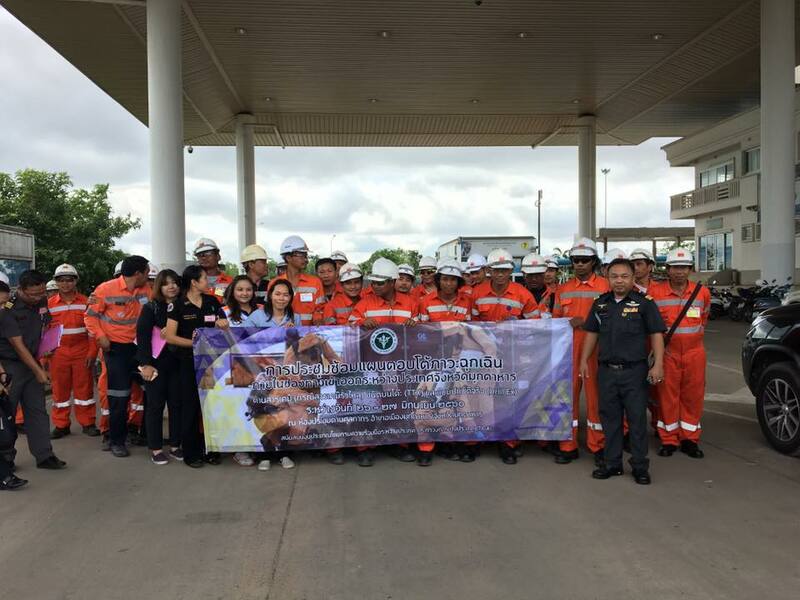 TTX and Drill exercises for Emergency response plans for International Outbreaks of Sulfuric Acid tanker Leaks at Mukdahan Thai-Lao border in Mukdahan Province, Thailand on 26 - 27 Jun 2017. 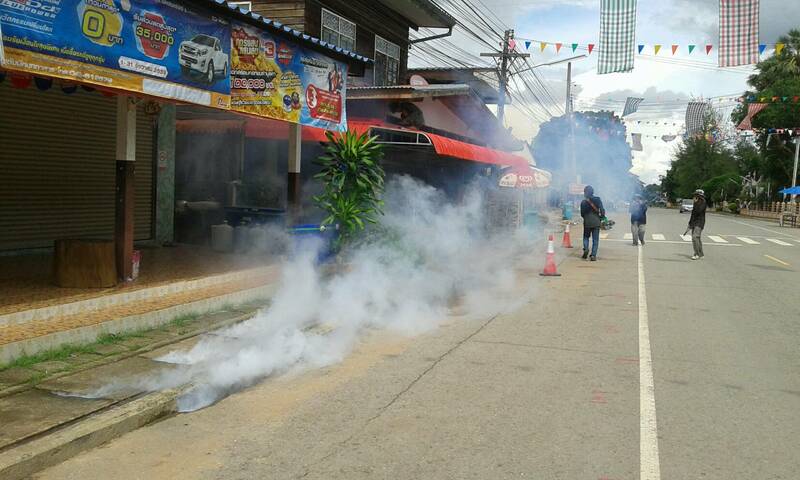 June 15,2017 Sitthimas Wongsurakiat DonTan Hospital Director Mukdahan province Thailand and team (health workers,health volunteers) taken action fogging mosquitoes in villages areas.In order to surveillance and control diseases spreading of dengue fever also get rid of the mosquito larva as well. Under framework health collaboration agreement 4 major 1)Surveillance 2)International Health Regulation:IHR 3)Health border collaboration 4)Health Prevention and Promotion.